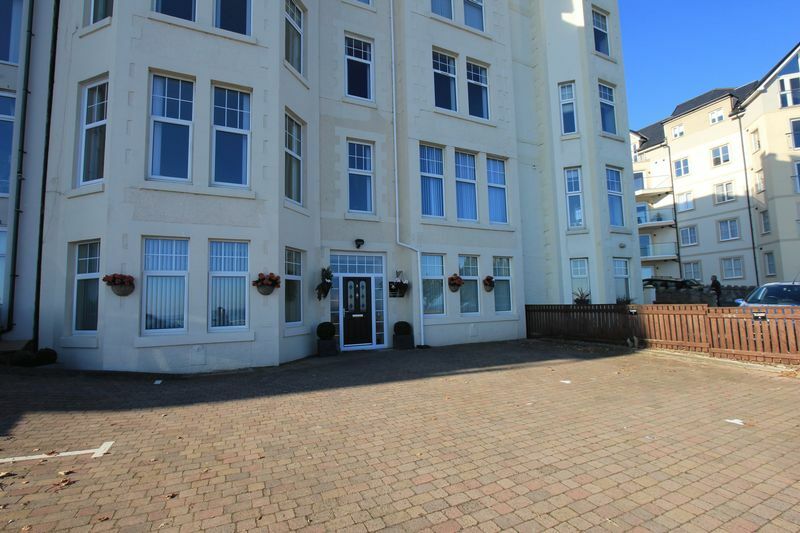 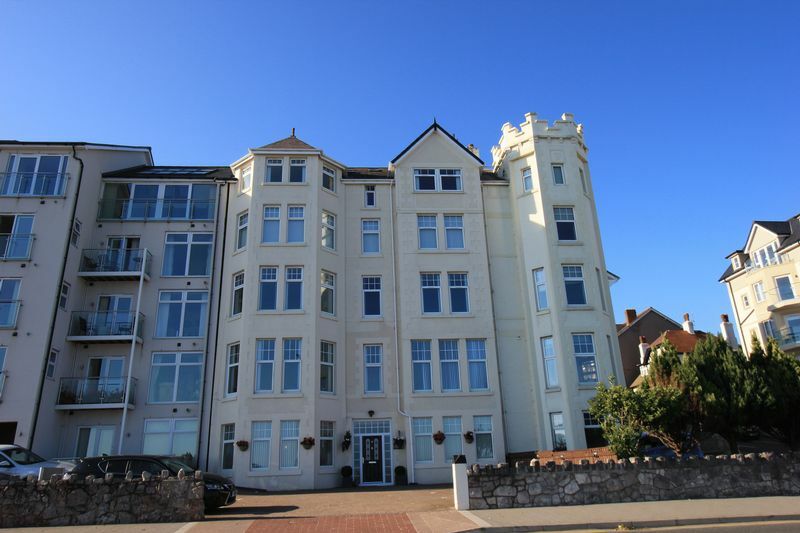 This immaculately presented two bedroom ground floor apartment is situated on the promenade of Rhos on Sea with sea and coastal views. One of five in an impressive period property this apartment benefits from its own private entrance which is on the flat and two allocated parking spaces. 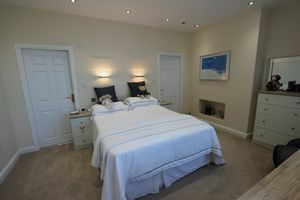 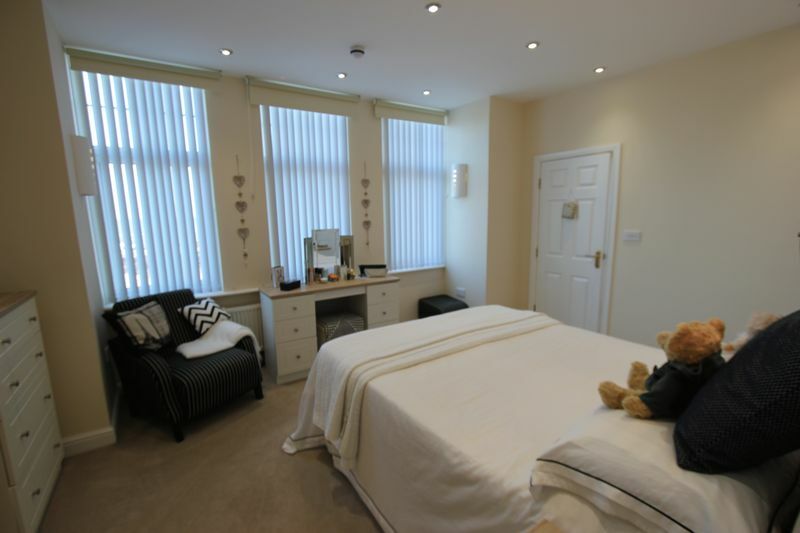 The accommodation comprises of hallway/dining room, spacious lounge with a bay window to the front aspect and sea views, kitchen, master bedroom with ensuite shower room and walk in dressing room, second double bedroom and bathroom. 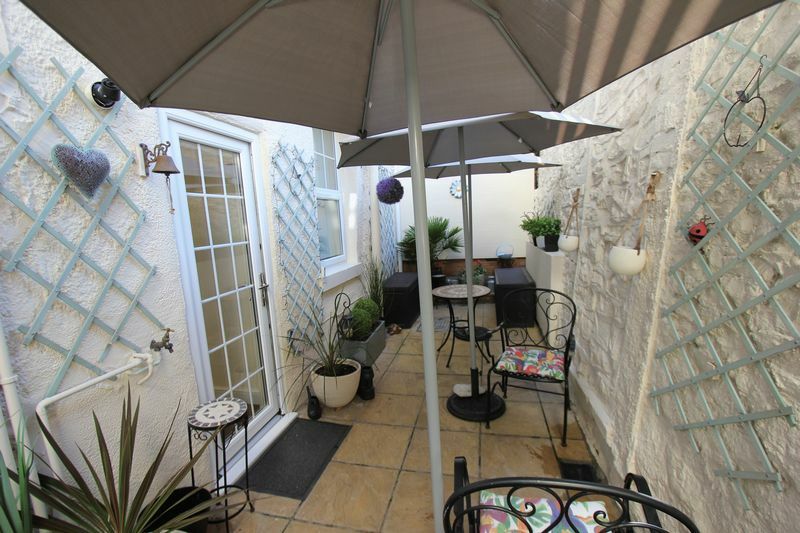 The parking is to the front of the property and there is an enclosed rear courtyard garden. 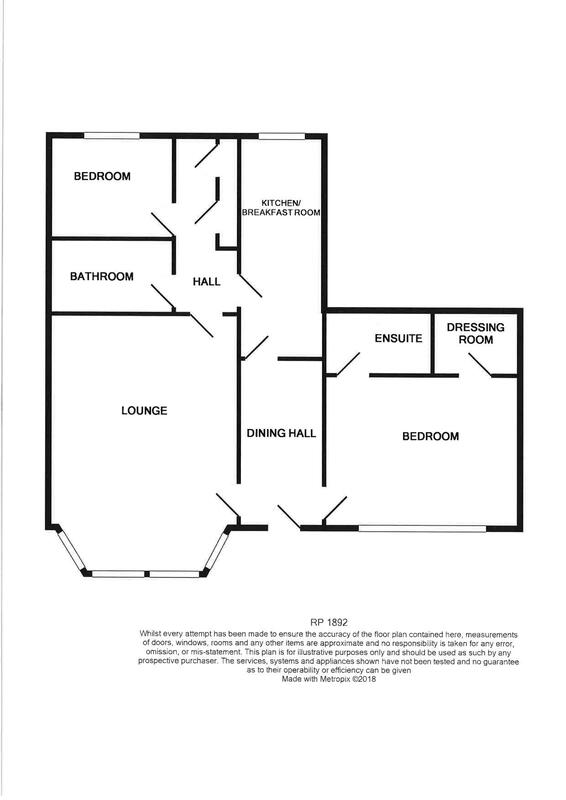 Personal front door into apartment. 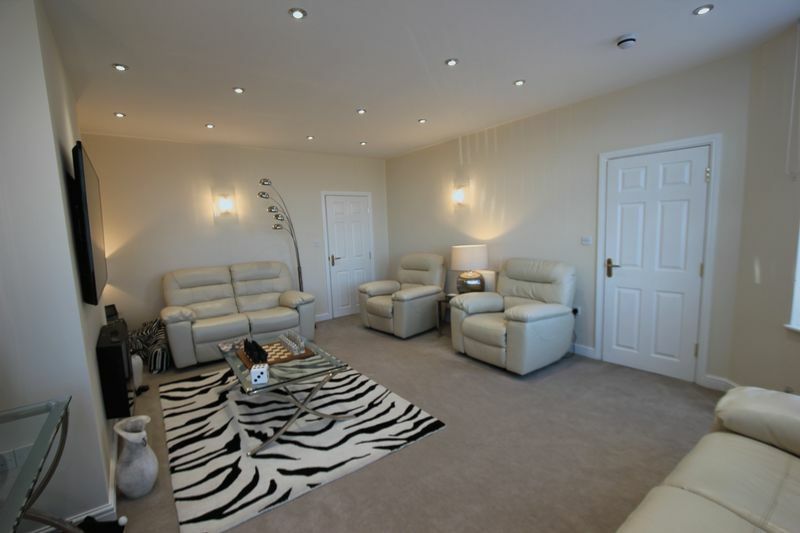 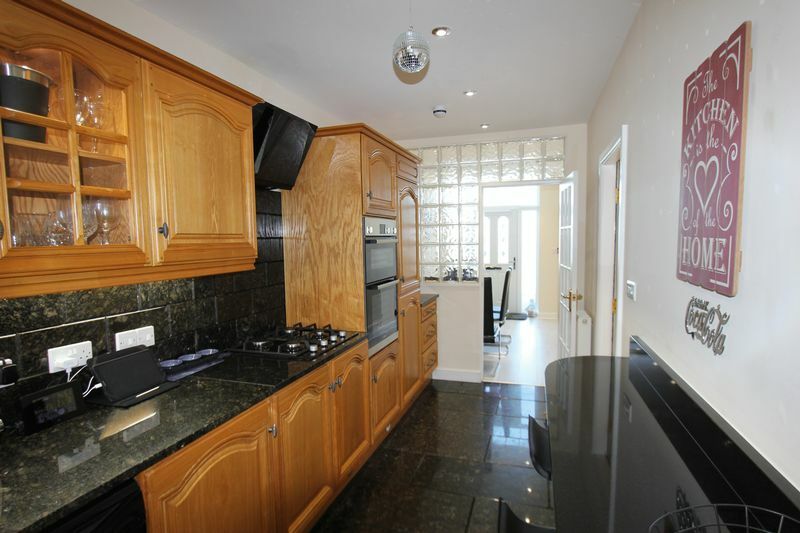 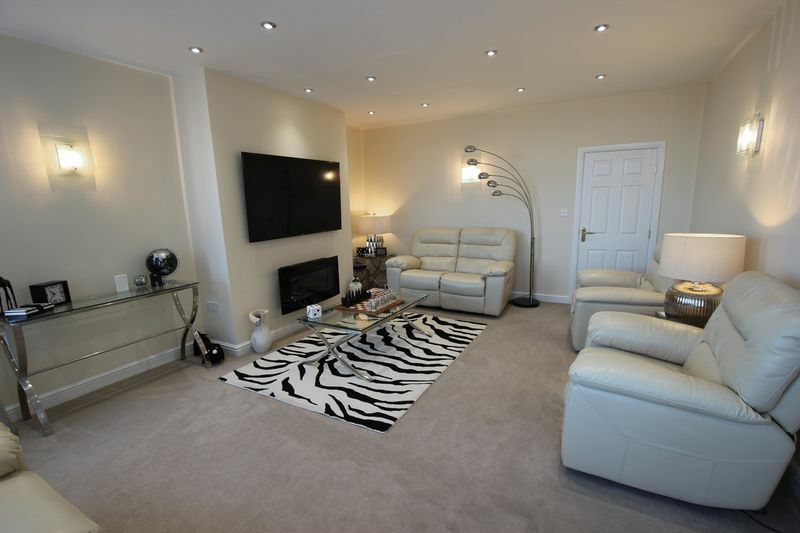 Inset lighting, central heating radiator, karndean flooring, access into lounge, kitchen and bedroom. 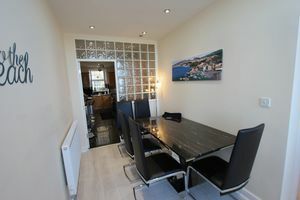 Upvc triple glazed bay window to front aspect with sea views, inset lighting, two central heating radiators, remote control wall mounted electric fire, door gives access to rear hallway. Upvc double glazed window to rear aspect, range of wall and base units with roll top work surface over, stainless steel sink and drainer with mixer tap, integrated eye level electric oven, four ring gas hob with extractor fan overhead, integrated fridge/freezer, washing machine and SMG dishwasher are included, breakfast bar, central heating radiator, tiled floor, door gives access to rear hallway. 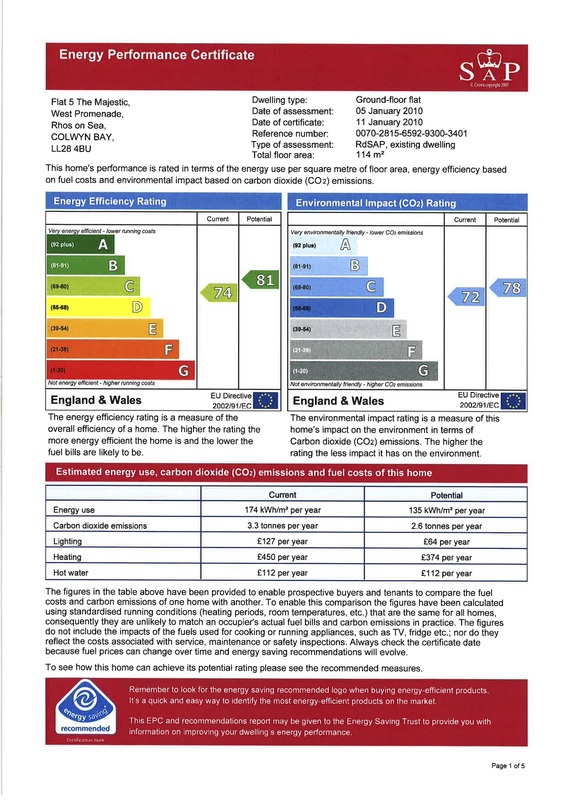 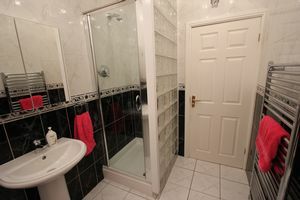 Maximum, upvc triple glazed window to front aspect, inset lighting, central heating radiator, access to ensuite shower room and dressing room. 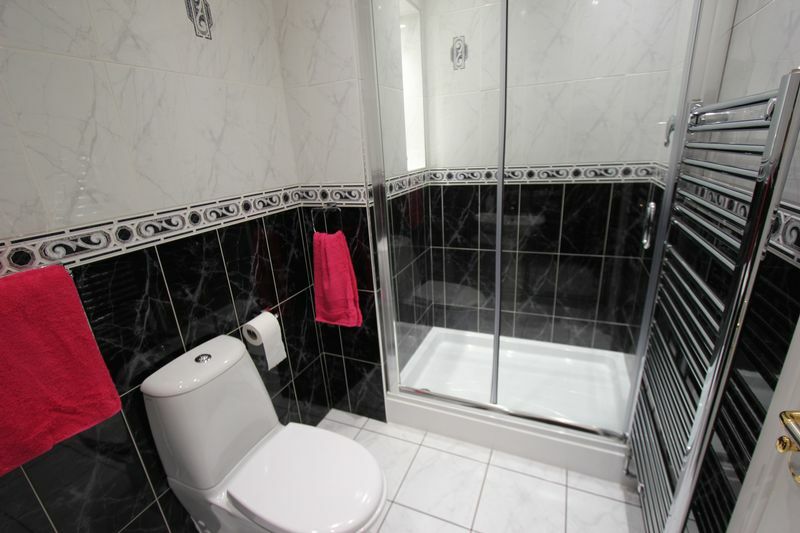 Extractor fan, inset lighting, shower cubicle, low flush w.c, wash/hand basin, chrome style heated towel rail, tiled walls, tiled floor. 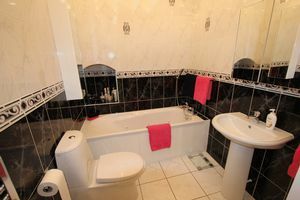 Maximum, panel jacuzzi bath, shower cubicle, low flush w.c, wash/hand basin, chrome style heated towel rail, tiled walls, tiled floor. 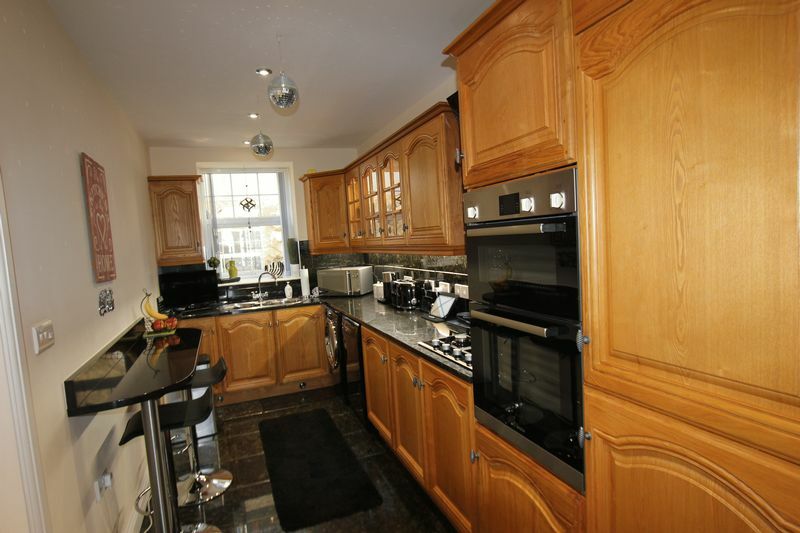 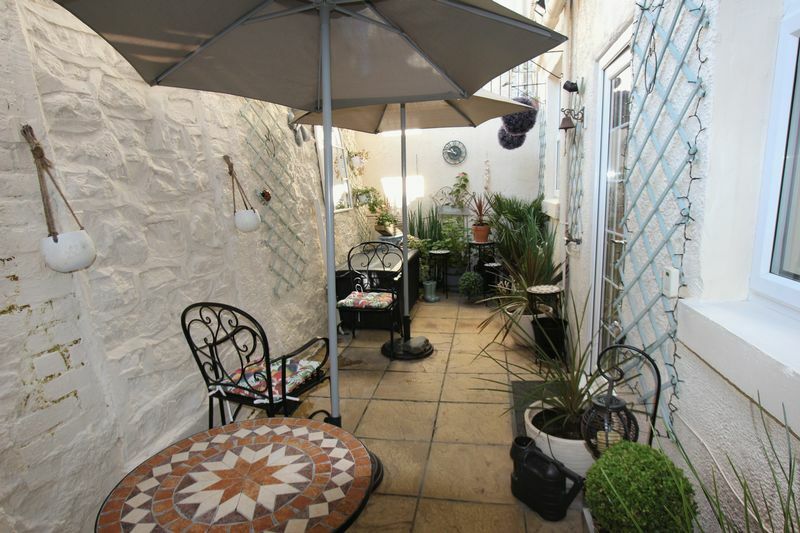 The property has two parking spaces to the front of the property and an enclosed courtyard garden to the rear. 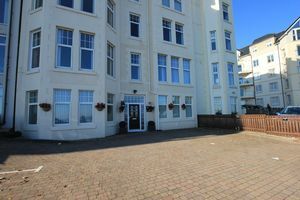 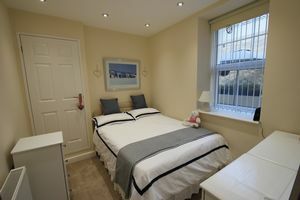 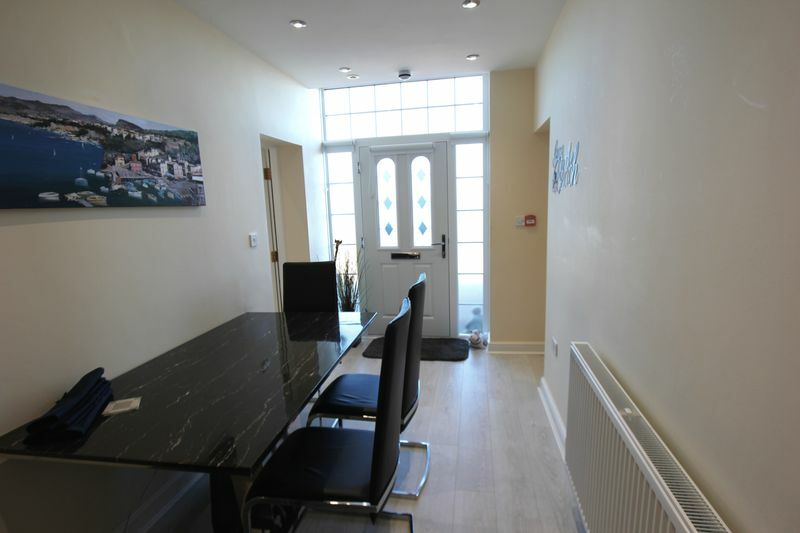 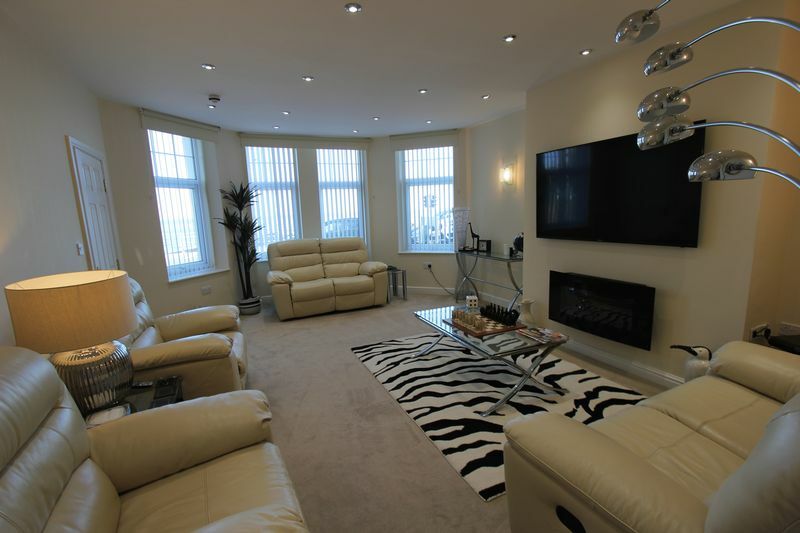 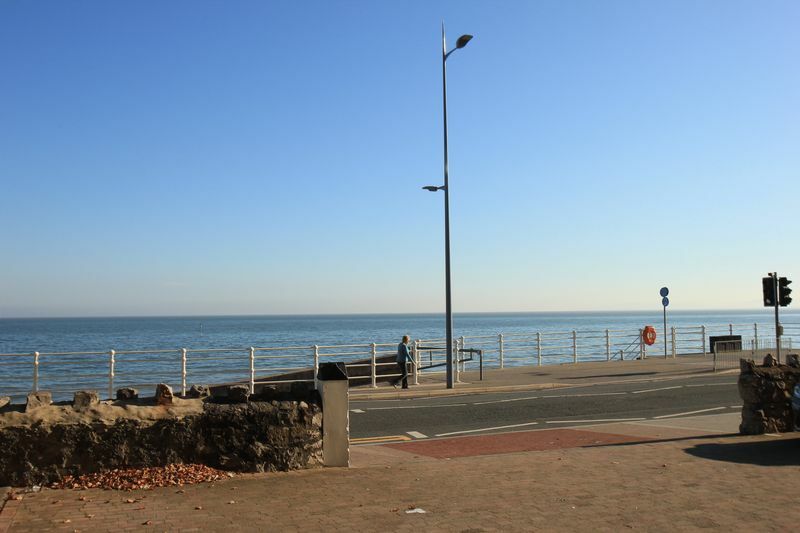 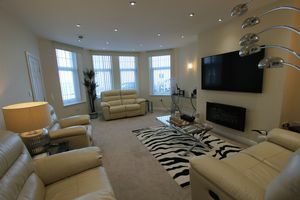 The property is located in the popular coastal resort of Rhos On Sea with its wealth of local shops and other facilities. 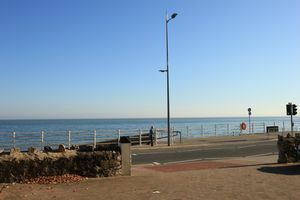 The larger resorts of Llandudno and Colwyn Bay are approximately three miles and one mile respectively and it is conveniently located for easy access to the A55 dual carriageway for Chester and the motorways beyond, also the main rail line Holyhead to Euston.